Did you know a person touches their eyes on average 200 times a day? With all that comes in contact with hands and fingers throughout the day, there are many culprits that can irritate the eyes. 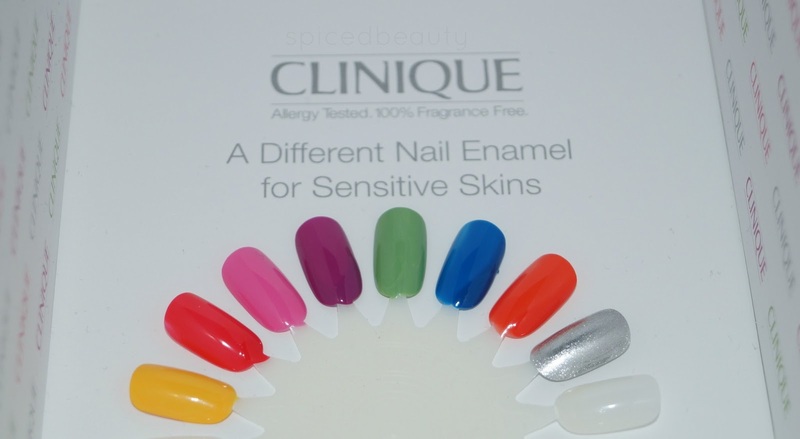 Did you know that nail enamel can cause irritation and even contact dermatitis on the suspectibly thin skin around the eye? Amongst the dermotological community, nail enamel is also considered a significant allergen source for periorbital dermatitis—a facial rash that develops around the lower and upper eyelids. People who suffer from these conditions often-times do not realize the connection between touching and rubbing the eye area, and fresh manicures. Clinique has come out with a new polish line that caters sensitive skin users! 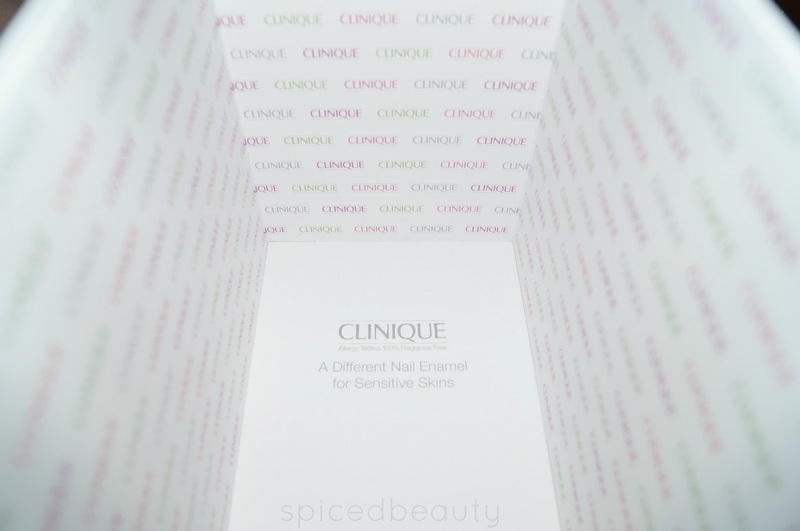 Six years in the making, Clinique introduces a pioneering innovation to the nail enamel industry: A Different Nail Enamel for Sensitive Skins is formulated to minimize skin sensitivity. It is Dermatologist tested, Ophthalmologist tested and appropriate for sensitive skins and sensitive eyes. The finish is high-shine, long lasting and quick drying (SRP $18). 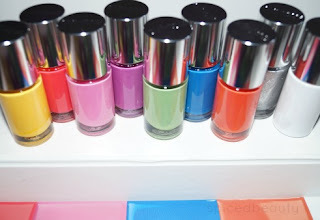 How cute is this nail studio that came with the PR package!! The colours look great, can't wait to see more Jennifer! Toronto Premium Outlets is coming this Summer!